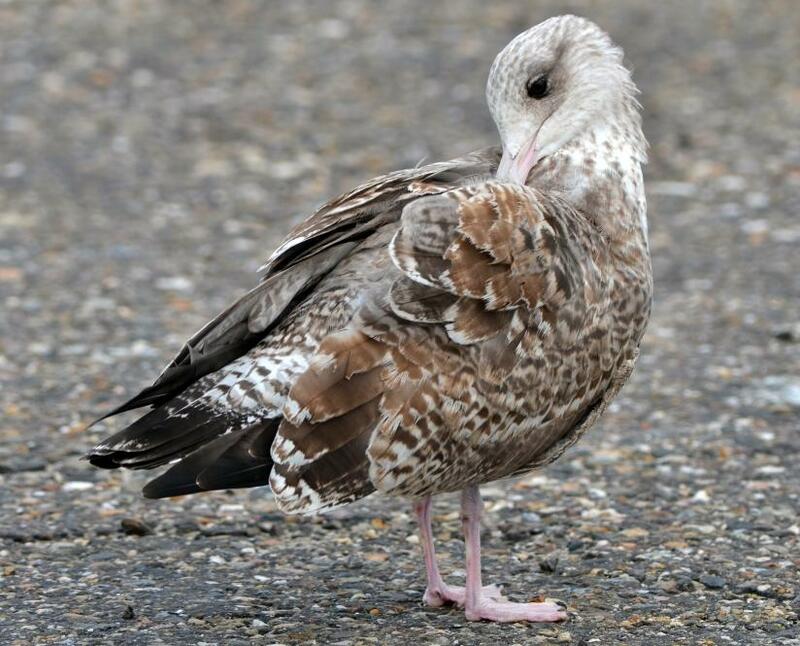 A 1st summer bird actively moulting primaries and tail was briefly present at a high tide roost near the fishing port of Stellendam on 26th July 2012. 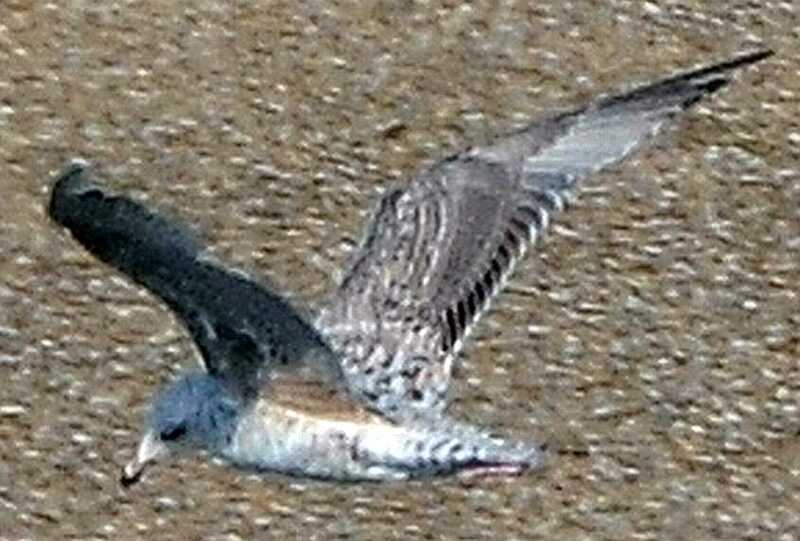 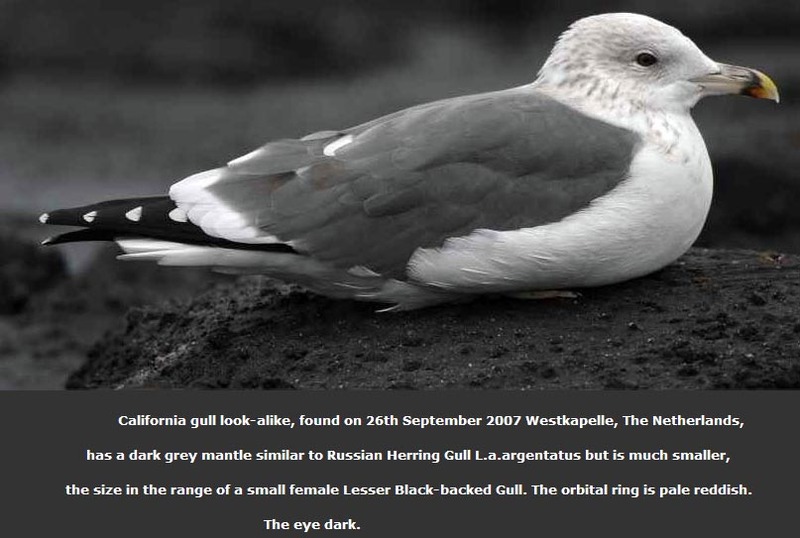 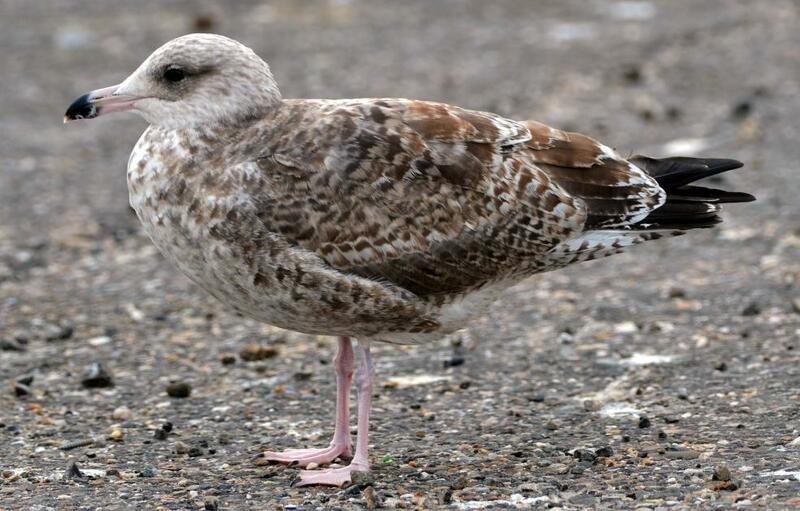 California Gull has never been reported for the North Sea area before. 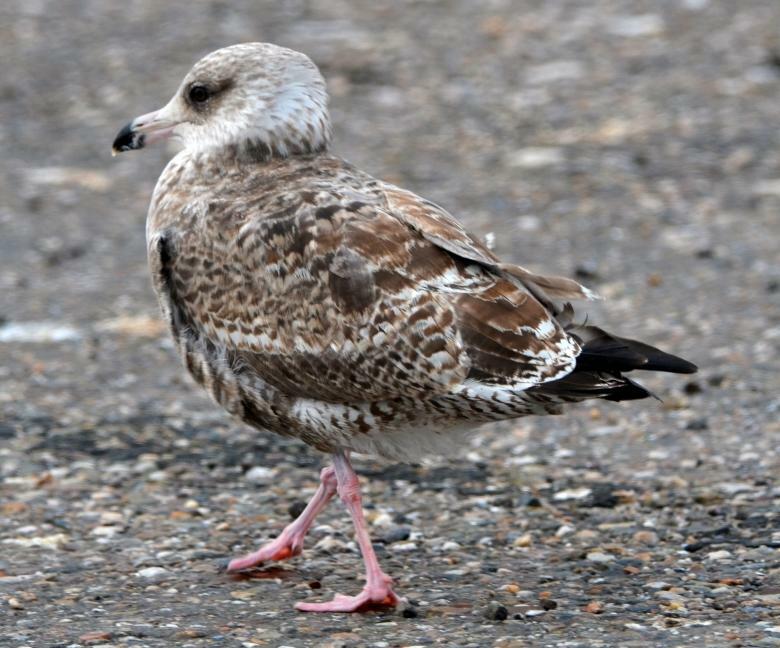 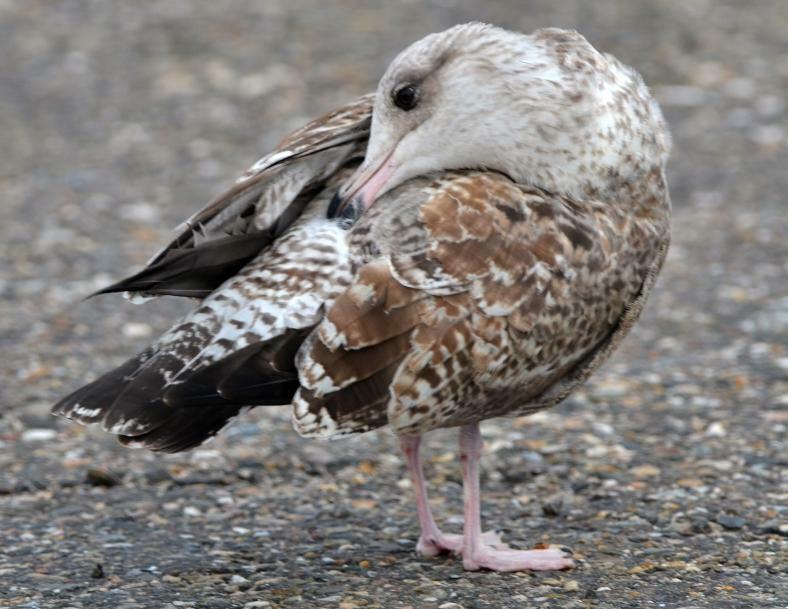 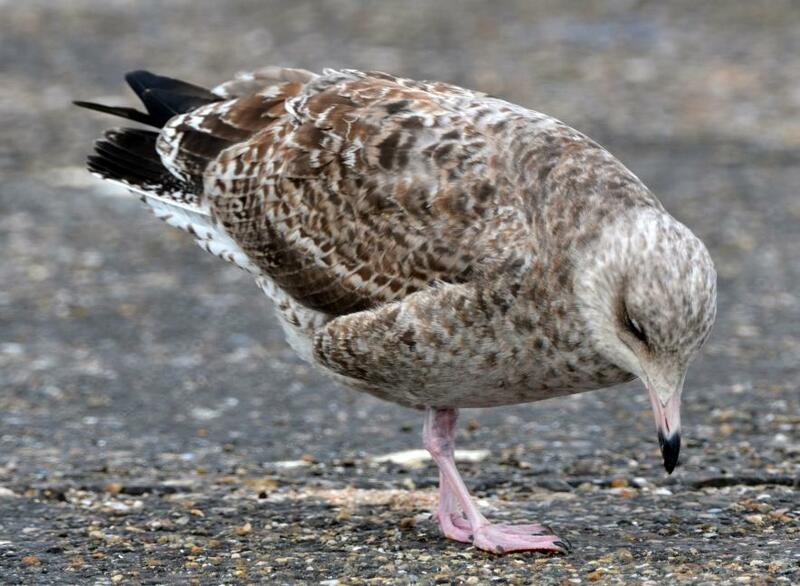 The most likely scenario is that this gull arrived in Europe during the previous winter when masses of gulls and skua’s were pushed towards East Atlantic coasts during continuous storms. 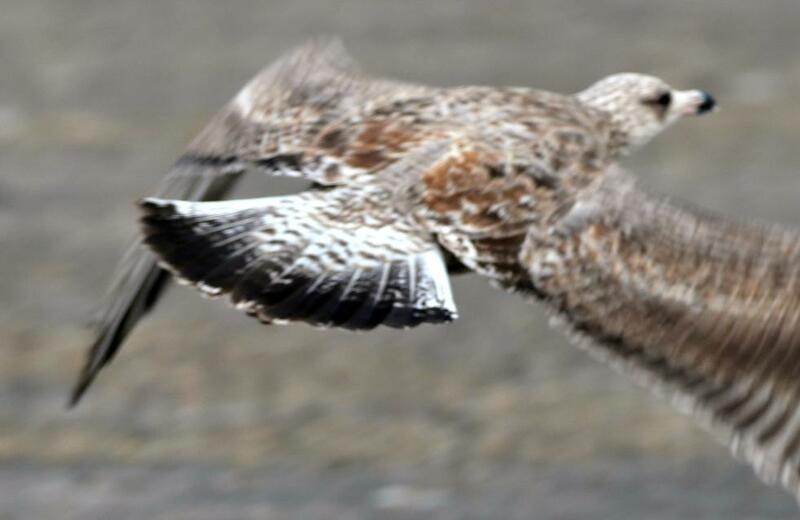 The cinnamon feathers above are juvenile remnants of the “cinnamon morph” all of these birds are from alkali lakes, mainly Mono Lake in California.they are nominate California Gulls Larus c. californicus.